Who owns the fair ground? Labour struggles to define itself, as “fairness” is on everyone’s lips, reports George Hull, researcher and teacher of political philosophy at UCL. Yet, since last May, a fairer Britain has seemed an ideal all three major parties share. The Conservatives and the Liberal Democrats repeatedly defend their government’s new legislation – from welfare reform to tuition fees rises – on the basis that it is fairer than any alternatives, placing proportionately more of the burden of deficit-reduction on the well-off than on poorer members of society. Ed Miliband’s criticisms of the government in Parliament can appear little more than cavilling over details of what are tacitly admitted to be just measures overall. The impact of child benefit cuts on dual-parent, single-earner families – something he made much of in his Prime Minister’s Questions début – is a case in point. This raises doubts about whether Labour has a distinctive line on social justice at all. Theorists of justice on whom Labour has drawn in the past, such as John Rawls and H. L. A. Hart, would say that deficit-reduction is not the only task our society is engaged in which needs to be carried out fairly. The very act of living together under the rule of law, such theorists would argue, is itself a co-operative and mutually beneficial enterprise requiring a certain standard of fair treatment for everyone who has constrained themselves to participate in it. This standard might be different – might, indeed, be higher – than that required by participation in deficit-reduction alone. Arguments of this sort could provide substantial ammunition against the coalition government, should Labour decide to use them. However, the legacy of ideas from its former leadership has left the Labour Party unused to advocating fairness for its own sake. Gordon Brown, the former prime minister, was a relentless campaigner for equal opportunities, interpreted by him rather broadly as including equal access to healthcare and occupational training throughout the life-course. But his public defences of equality of opportunity always tied it to another – in his eyes less controversial – ideal, which it was supposed to further. In his speeches from 2005 onwards, as he prepared to succeed Tony Blair, this other ideal was “Britishness”, and fair equality of opportunity was a core “British value”. The ridicule with which his promotion of “Britishness” was greeted accounts in no small part for his premiership’s lack of an overarching vision, since this is what he had been hoping to pin fairness to. Before that, Mr Brown promoted equality of opportunity as a means to economic growth. Empowering the workforce would, he argued, increase aspiration and innovation, creating wealth and jobs. As early as 1994 the argument was summarised as ‘Fair is efficient’ in the title of his Fabian Society pamphlet. This approach also left its own hostages to fortune, although in their case it was longer before ransom was demanded. Since mid-2010 there has been consensus on all sides that for the present something other than fairness is the prime means to economic growth: deficit-reduction. But this admission, reiterated in Ed Miliband’s speech to the National Policy Forum, pulls the rug out from under the trademark Brownite defence of fairness. In this context there can be debate about the fairest way to pursue deficit-reduction, but there can be no question of claiming that promoting equality of opportunity is itself the best way of achieving economic growth, as Gordon Brown used to. Ed Miliband says he is leaving New Labour behind him. But his party’s current quandary over how to argue for fairness is a consequence of New Labour ideas. Labour’s policy reviews, which carry on into the new year, will need to clarify what its arguments for equality are today before Mr Miliband can convince anyone that Labour has a special claim to be the party of fairness. RT @leftfootfwd: Who owns the fair ground? 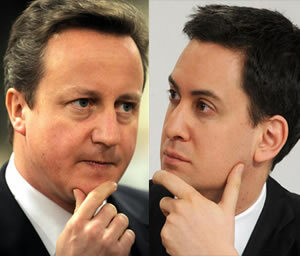 http://bit.ly/fuSvL6 – @Ed_Miliband or @Number10Gov? New labour must be left behind, total rubbish, the real problem for labour is to try and show it has something different to offer then the Tories, thats difficult once you drop the socialism aspect of the labour movement, because whats left is Conservatism. I see no difference what so ever between the Tories and New labour or Progressive labour or what ever silly idea they re brand the party in the end. What is left is a lot of people looking at making a living, looking forward to how to make money when they leave power. I think more imagination is required from Labour before we can truly claim to occupy the moral high ground on fairness. 1. taking chilld benefit off families on c£50k p.a. 2. capping benefits especially housing benefit to £26k p.a. Introducing £1k, £3k, or £9k fees is not fair..
Meanstesting is fair… perhaps to include winter fuel payments etc..
Good observations. If there was a measurement of well-being that could be maximised among the maximum possible number of people, this should be the aim of a serious political party in government. The conservative government (and new labour) sees economic growth in macro-economic terms as an end in itself. This leads to the perpetuation of the disproportionate distribution of wealth and power, in modern terms on those who support corporative interests i.e. money.